19A Banner Road. Updated end-unit in trend village! 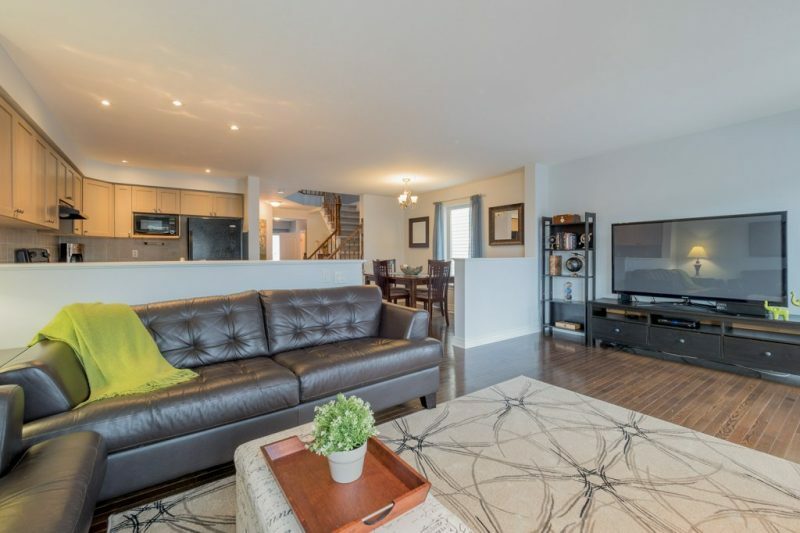 Open concept layout offers spacious living and dining rooms with hardwood flooring. Beautifully updated kitchen complete with island/breakfast bar (2014). Upper level has 2 large bedrooms and full bathroom. You are sure to enjoy the lower level rec-room complete with spare bedroom, powder bath, storage area and in-unit laundry. Front yard offers the perfect patio space to sit-out in the summer! Some additional updates: roof shingles, windows and exterior siding. 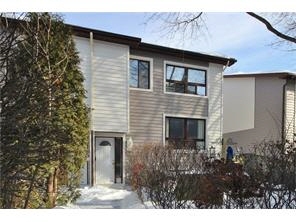 Close proximity to neighbourhood schools, parks and Greenbank square. Outdoor parking included with this great starter home!